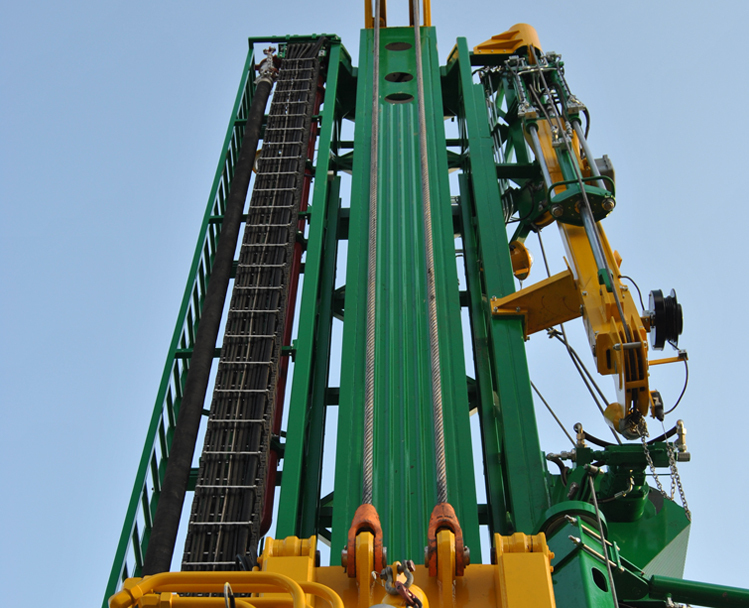 Greka Drilling offers drilling solutions across a broad range of integrated services. We provide a single cost-effective solution for multiple well services combined with best quality management systems. Our drilling fleet comprises purpose-built, hydraulic, top-drive rigs specifically designed for the application of drilling services within the unconventional gas industry. In order to maximise the exposure in a target formation, Greka Drilling utilises industry best practice and fit-for-purpose technology to achieve superior results. Geophysical properties of the formation are transmitted in real time to the engineers on the rig, allowing for mapping and adjustment to the wellbore’s trajectory to ensure maximum exposure to a target formation and avoid, record or control subsurface anomalies. The combination of industry best practice, fit-for-purpose equipment and geo-steering in real time allows our engineers to conduct and record highly accurate positional, mechanical and geophysical properties. Our in-house Directional Drilling teams have a unique relationship with our Drilling Department which avoids interoperability issues between drilling crews and third party directional contractors in conventional operations. The specialised well planning and engineering team of Greka Drilling plan and coordinate work directly with the client from the time the directional work is assigned. The well planning team interacts with drilling and geology personnel to ensure the latest information and procedures are communicated and applied to the programme. Our OCC system provides real time monitoring through fast and smart data flow in a controlled manner.